Our company Petromat Oils & Gas Equipments is known for producing high quality Eccentric Reducer. Eccentric reducer specially made for connecting two pipes that has different sizes. These eccentric reducers have tapered slanted shape wherein one side is symmetrical to the source stream and the other side is slanted. These are used between two pipes to reduce the flow of fluid or gas into and out of a pump. Eccentric reducer can also be used inversely to increase the flow of the substance. Our eccentric reducer can be made of premium quality stainless steel, brass, bronze, aluminum, iron and high grade plastic depending on client’s specification. These eccentric reducers may also be galvanized to add zinc coating for increase corrosion resistant and longer use. Our clients can also choose the size, color, shape and dimension of these eccentric reducers. We also have threaded and non-threaded range of eccentric reducers. We have wide variety of eccentric reducer depending on need. 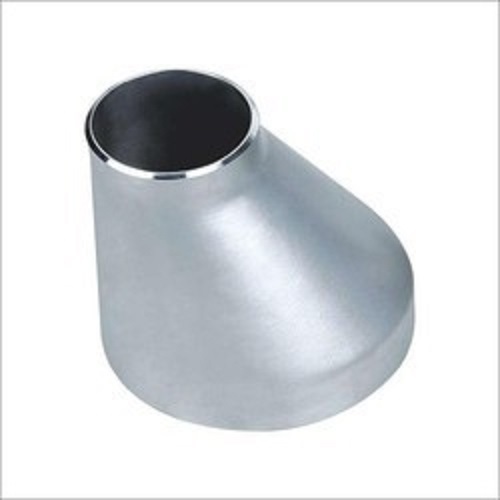 Our eccentric reducers are widely demanded among our clientele for its durability and superior quality. These are available in very economical prices. We deliver our products on schedule and with proper care to ensure satisfaction of our clients.